The Chrysler 300 full-size sedan has luxury appeal. It received its last major refresh back in 2015, so changes this year are minimal. 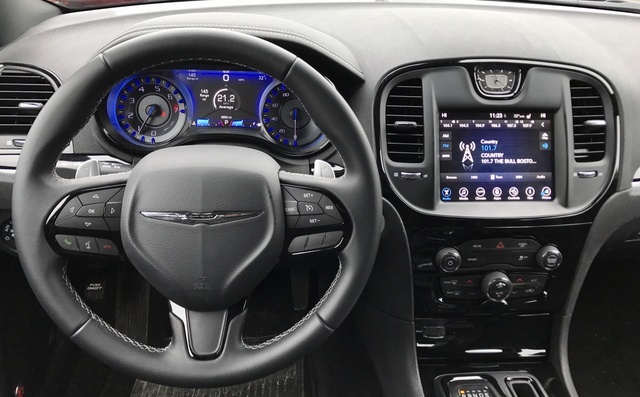 New interior and exterior appearance packages give it an edgier style, and the Chrysler Uconnect infotainment system is faster and has new features designed to keep you connected while you’re on the go. 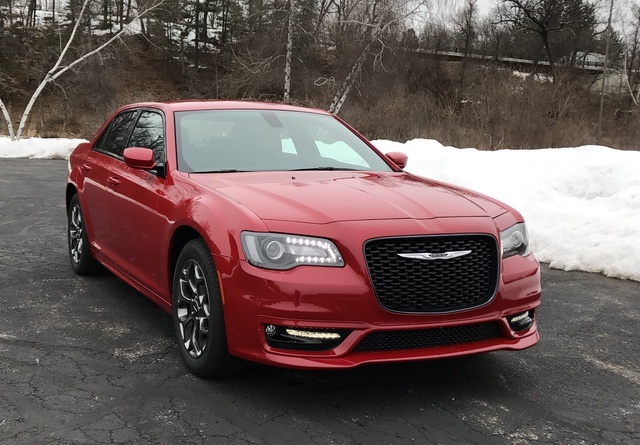 The Chrysler 300 is available in four trim levels—Limited, 300S, 300C, and 300C Platinum—with a choice of either rear-wheel or all-wheel drive across the lineup. 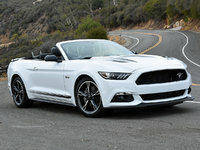 Engine choices include a 3.6-liter V6 or a 5.7-liter V8, both of which get paired to an 8-speed automatic transmission. No matter which 300 you choose, you’ll get a bold and luxurious large sedan with plenty of power. The Chrysler 300 isn’t a timid sedan. It’s an attention-getter with wide angles, huge curves, and an aggressive grille. Those striking looks are matched by a strong interior with comfortable seating and a quiet ride. Leather and soft-touch materials abound and reinforce the luxury aesthetic. It’s a pleasure to ride in the 300, and it’s a pleasure to drive, too. The base 300 Limited has a starting price of $32,340 and gets only the smaller V6 engine. This engine produces 292 hp with 260 lb-ft of torque and is a nice match to the 300’s ample size. Standard features include automatic bi-function halogen projector headlamps, LED daytime running lamps, and heated, power-folding side mirrors. Polished aluminum 18-inch wheels are also standard for the Limited. Inside, you’ll find dual-zone automatic air conditioning, air filtration, LED illuminated cupholders front and rear, and a leather-wrapped steering wheel with audio controls. Seating is leather with heated, eight-way power adjustability and four-way lumbar for driver and front passenger. The rear seats split-fold 60/40. Standard infotainment is the Uconnect 8.4 system with 6 speakers, AM/FM, Apple CarPlay, Android Auto, and SiriusXM. Step up to the 300S at $35,675 and get a more powerful V6 engine with 300 hp and 264 lb-ft of torque along with a sport-tuned dual exhaust. 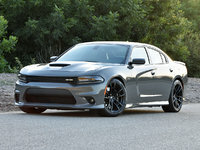 There’s also the optional 5.7-liter Hemi V8 with 363 hp and 394 lb-ft of torque. The 300S also features paddle shifters and a Sport Mode, which provides a more aggressive throttle response and firmer steering. Upgrading the engine to the V8 also adds the S Model Appearance Package with black chrome grille surround, body-color fascias, premium LED fog lamps, lower grille closeout panels, and a body-color rear spoiler. Audio gets an upgrade in the 300S with a 10-speaker BeatsAudio system with a 522-watt amplifier. There are two new appearance packages for the 300S this model year. The Exterior Sport Appearance Package is standard with the V8 and optional on the V6. It includes a more aggressive front fascia, integrated LED fog lamps, and 20-inch wheels. The Interior Sport Appearance Package adds premium leather performance seats with suede high-bolstered contours and ventilation. There’s also the 300S Black Alloy Edition with sport-tuned suspension, Dark Bronze and Gloss Black finishes, and Titanium-plated badging at a starting price of $36,170. While the 300S is more performance focused, the 300C comes in with a starting price of $38,635 and a focus on luxury amenities. The exterior gets extra chrome accents and auto tilt-down side mirrors. The interior gets standard Nappa perforated leather-trimmed bucket seats that are heated and ventilated up front and heated in the second row. The infotainment system features six premium speakers with a 276-watt digital amplifier and Uconnect 8.4 with navigation, and a dual-pane power sunroof brightens up the interior quite a bit. Choosing the V8 Hemi adds Sport Mode with paddle shifters. Sitting at the top of the 300 lineup is the 300C Platinum. It starts at $42,770 and packs a long list of standard features, including platinum exterior trim accents, 20-inch polished aluminum wheels, upgraded floor mats, natural-pore Mocha wood interior trims, luxury Nappa leather seats, a 19-speaker Harman Kardon audio system, and Sport Mode with paddle shifters for either engine. The base Limited features only the V6 engine with 292 hp and 260 lb-ft of torque paired to an 8-speed automatic transmission. Once you move to the 300S, there’s also an optional beefy 5.7-liter Hemi V8 with 363 hp and 394 lb-ft of torque available in rear-wheel-drive versions only. Technically that’s two engine choices, but the 300S is different. It features a more powerful version of that V6 with 300 hp and 264 lb-ft of torque. The 300 is a big car, but Chrysler gave it plenty of power. It’s not a sports car, and you won’t get that kind of in-your-face performance, but it doesn’t hold back. Acceleration is strong, even at highway speeds, making maneuvering through heavy traffic effortless. It offers confident performance but in a mild-mannered way. Engine, road, and wind noise are minimal, so you and your passengers can focus on relaxing and enjoying the drive. Fuel economy is not the 300's strong suit. 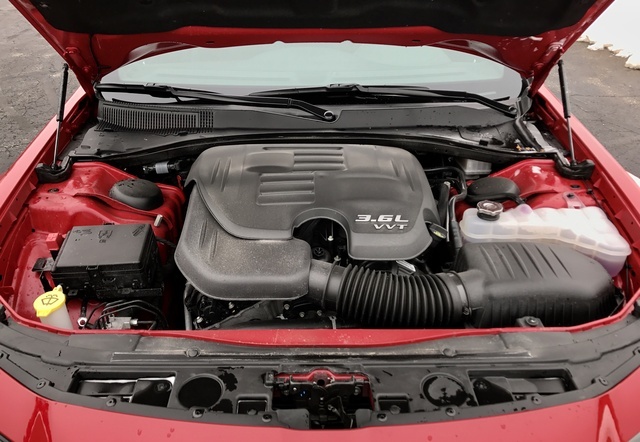 The V6 engine achieves an EPA-estimated 19 mpg city, 30 highway with rear wheel drive (RWD) or a slight drop to 18/27 with all-wheel drive (AWD). Those numbers drop even further to 16/25 for V8 models. The upside is that neither engine requires premium fuel, so your gas bill will be a little easier to manage. Sport Mode, which is offered on the 300S, 300C equipped with a V8, and 300C Platinum versions, gives you the opportunity to experience a more performance-oriented drive. It alters the transmission shift points and noticeably tightens the steering. It’s subtle enough that you could easily drive with it on all the time rather than just opting to give it a go now and then. The Chrysler 300 is fun to drive. It has enough power to avoid feeling heavy and cumbersome while still providing a comfortable and spacious ride for passengers. The steering is well-weighted and nearly effortless, with just that little bit of tightening in Sport mode. Although it looks large enough to drive like a heavy, cumbersome car, the reverse is true. It’s solid and not light, but it handles well on highways and narrow back roads. Although full-size sedans aren’t the hot sellers they once were—blame the crossover craze—they still have lots to offer. There’s something to be said for a spacious interior that can easily fit three adults in the rear seats while coddling front passengers. The Chrysler 300 hits the mark here with its quiet and welcoming interior. Unlike true luxury cars, it’s not loaded up with overly fancy elements that look great, but kick up the price. Instead, the 300 offers all the comforts you need with nothing superfluous. 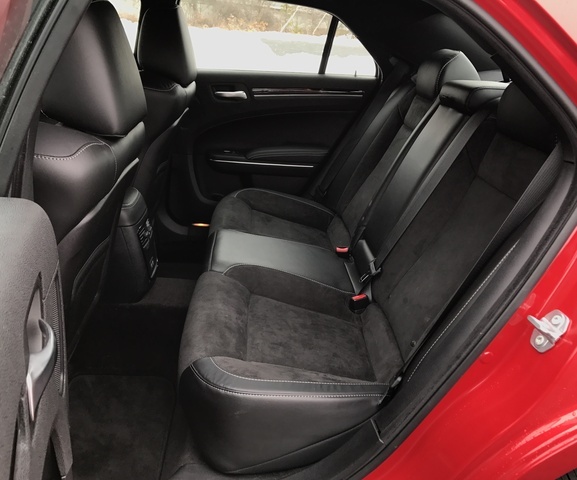 Seats are rich leather and very comfortable with great adjustability, so even shorter drivers will be able to find a commanding view. There’s plenty of room in the center armrest and door pockets for storage, and the trunk offers 16.3 cubic feet of cargo room. It’s the kind of car that’s perfect for road trips with little intrusion from the outside world. Wind, road, and tire noise are minima, making conversations between the front and rear passengers easy. The seats are comfortable no matter where you sit, even in the dreaded middle seat, and headroom and legroom are ample even for larger passengers. If a comfortable large sedan is what you want, the Chrysler 300 is a great choice. The quality of the interior materials adds to the 300’s appeal. Leather and suede abound, with soft-touch surfaces in all the right spots to cushion arms and elbows. You'll see some plastic trims, but they don’t look cheap and detract from the overall impression of quality and elegance. The driver undoubtedly has the best seat in the house with well-placed controls that will keep your attention on the road. The Chrysler 300 features the newly released fourth generation of the Uconnect infotainment system. It was great before the update, but they’ve made it even better with a faster startup, better processing power, and a higher-resolution screen. The biggest change is the addition of two features that are becoming must-haves in today’s cars: Apple CarPlay and Android Auto. The base system includes six speakers and Uconnect 8.4 with AM/FM, Apple CarPlay, Android Auto, CD/DVD/MP3, SiriusXM radio with a one-year trial subscription and an 8.4-inch color touchscreen. This screen controls music and climate as well as providing vehicle information. It’s easy to use with an intuitive system of icons. The 300 has two USB charging ports, and an optional upgraded Uconnect system adds navigation to the mix, which features clear map displays that are easy to read. The size of the 300 alone makes it a car that feels safe. There’s nothing cheap or flimsy about it, and it inspires confidence. The 300 handles well, even in high winds and heavy rain. Solid steering helps keep the driver in control, and quick braking adds to that sense of security. There are many safety features standard across the 300 range. These include multiple airbags, electronic stability control, hill-start assist, a ParkView reversing camera, rain brake support, ready alert braking, and tire pressure monitors. All but the base Limited offer a slew of advanced features through the SafetyTec Package. It includes advanced brake assist, rain-sensing wipers, lane-departure warning, lane-keep assist, auto high beams, full-speed forward-collision warning with active braking, adaptive cruise control with stop, and ParkSense front and rear park assist. It’s a $2,995 package, but considering the large number of safety features included, it’s well-priced. The National Highway Traffic Safety Administration gave the Chrysler 300 strong marks with an overall 4 out of 5 stars in crash tests. 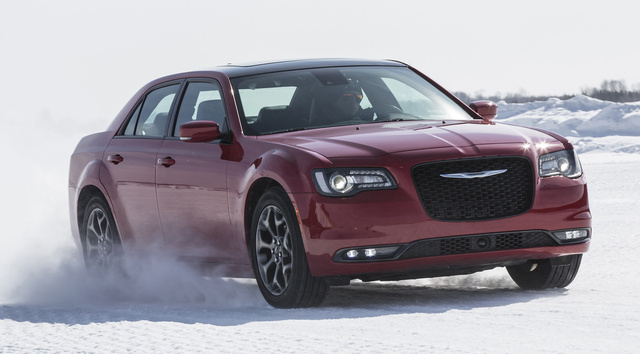 The Insurance Institute for Highway Safety also awarded high marks to the Chrysler 300, with one exception. The only crash test not to receive the highest Good rating was the Small Overlap Front, which received only a Marginal rating. A rating of Superior was given to front crash-prevention technologies, and a rating of Acceptable, only one step down from Good, was given to the LATCH system for having anchors too deeply set into the seats. Even in its base form, the 300 is a comfortable and well-equipped car. 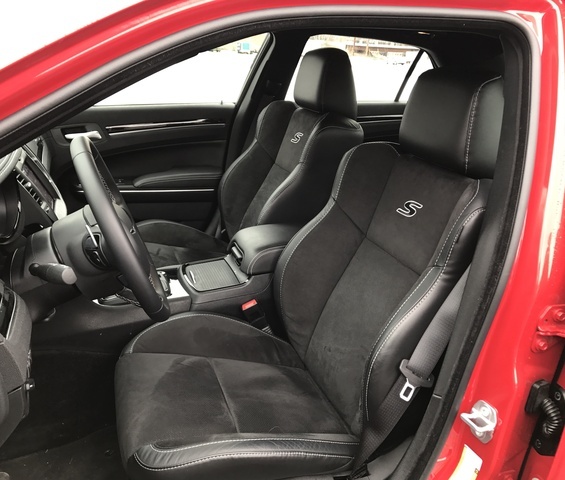 You don’t have to jump all the way to the top trim to get luxury features with packages letting you add what you want to make any trim level ideal. If you do head straight to the top, you’re still looking at a great large sedan for just over $40,000. The drawback is primarily fuel economy. Although it doesn’t need premium fuel, even for the V8, the 300's fuel-economy numbers make it expensive for long commutes or road trips. Our average fuel economy during a week in the in the 300S AWD with mixed city and highway travel was exactly 21 mpg, which matches the EPA estimate perfectly. A lighter foot on the gas and avoiding that Sport mode could improve fuel economy, but if you hate watching the numbers at the pump, consider carefully. The combination of a beautiful interior, comfortable ride, and range of pricing and trims make the Chrysler 300 a cost-effective car, as long as you’re not overly gas conscious. What's your take on the 2017 Chrysler 300? GuruQD5B I had a 2005 300 (used) for a year and made up my mind that I wanted a 2017 after doing my home work on it. it is the best car I have ever had and all the good things you say about it is true. 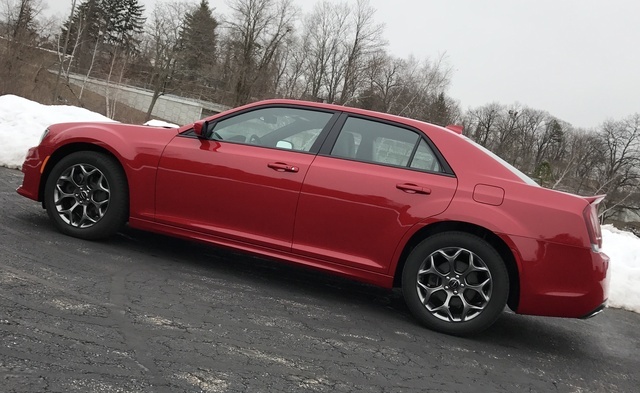 Users ranked 2017 Chrysler 300 against other cars which they drove/owned. Each ranking was based on 9 categories. Here is the summary of top rankings. Have you driven a 2017 Chrysler 300? In the event my 2017 Chrysler 300 is parked and inadvertently left with the engine running will it automatically shut off after some period of time? 2017 300C will not start until I give it a jump start and then wverythibg is ok. Will do it maybe 1 time per week. What If You Want To Pay Cash For The Car. 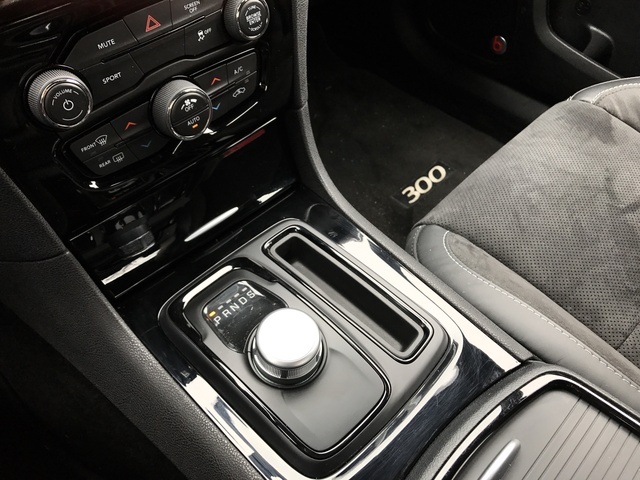 When I Turn Off My 2017 Chrysler 300 The Radio Stays On What Do I Do? ?